Welcome to this brief introduction to the Wheel of the Year, which forms the basis of the Wiccan calendar. You will also find more information about each of the Sabbats at the links below. 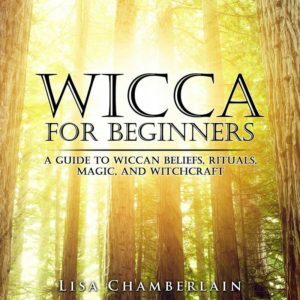 Wicca is sometimes described as a non-organized religion. 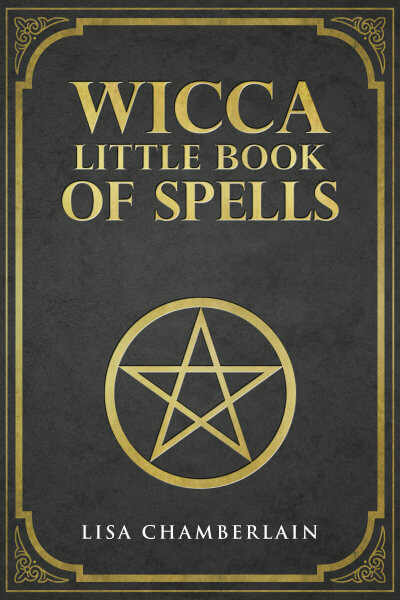 After all, there is no central holy text or designated place of worship in Wicca, and there are no standardized ritual proceedings to observe. All of these details are left up to individual traditions, covens, and solitary practitioners to decide on for themselves. Despite all of this flexibility, however, there is one very important element of Wicca that does serve as a structural center for the religion: the Wheel of the Year. The eight holidays of the Wiccan year, also known as the Sabbats, provide regular occasions for practitioners to come together, whether it’s for coven rituals or more informal circle celebrations. As for solitary practitioners, they know that as they perform their Sabbat rituals, they are joining their energy with that of the millions of other Wiccans worldwide who are celebrating these special days. The Sabbats are comprised of four “solar holidays”—the two Solstices and two Equinoxes that mark the Earth’s annual journey around the sun—and four “Earth festivals,” which occur in February, May, August and October. This latter set of Sabbats mark the “cross-quarter days” between the solar points. For example, Beltane, usually celebrated on May 1, falls roughly halfway between the Spring Equinox and the Summer Solstice. Many Wiccans refer to the cross-quarter days as the “greater Sabbats” and the solar days as the “lesser Sabbats,” as the Earth festival days are seen to be times of greater energy. This terminology is more about making a distinction between the two types, however, and doesn’t mean that the solar days (also known as “Sun Sabbats”) are any less important. It should be noted that these eight holidays do not belong to Wicca alone—many contemporary Pagan traditions also observe some or all of the Sabbats. However, the metaphorical mythology surrounding the God and the Goddess, and each Sabbat’s portion of the overall story, is what makes the Wiccan version unique. This divine pair is responsible for all creation in Nature, and each has crucial roles to play in the cycles of plant and animal life during the course of the year. As the God represents the Sun, and the Goddess the Earth, their relationship is seen in two ways: as mother and child, and as procreating lovers. In this way, both the presence and absence of warmth and sunlight over the course of the seasons is explained: the God is born, grows up and reaches the height of his power, and then ages and dies, to be reborn again as the growth cycle is renewed. The Goddess, who is the Earth, is both mother and co-creative partner to the God, remaining steadfast and present throughout the year, even in the absence of warmth and light. She is the constant, which may be why her Sabbats—the Earth festivals—are considered to have greater power. But the overall vision of the endless birth/death/rebirth cycle is one of balance between the female and male Universal energies, and each Sabbat can be seen as representing a particular stage of the cycle. So what happens at a Sabbat celebration? Like so much in Wicca, the details can vary widely, but generally speaking, there will be a ritual focusing on some element of the God and Goddess relationship and/or the time of year. For example, Spring and Summer Sabbats take themes of fertility and abundance, while Autumnal Sabbats are related to harvesting. The formal ritual is usually followed by a feast of some kind. These proceedings may be simple or elaborate, and may involve just a solitary practitioner, a coven, or an informal Wiccan circle. Some covens and circles, as well as other Pagan groups, even hold their Sabbat rituals in public so that interested members of the community might come and observe and learn. Others maintain a tradition of strict secrecy and celebrate in private. The details of the ritual, as well as the decorations and food, will likely depend on the particular Sabbat. Witches may devote their rituals to different aspects of the God and Goddess at different points along the Wheel of the Year, leave offerings appropriate to each season, and decorate the altar with seasonal themes. *Note: because the equinoxes and solstices happen at precise moments in time, they may fall on different dates in different parts of the world, and the date can vary from one year to the next. Therefore, a range of possible dates is given for the solar Sabbats. Observing the Wiccan Wheel of the Year can be a profoundly spiritually rewarding practice. Having a Sabbat to celebrate every six weeks means we stay more in tune with Nature and are more consciously aware of the turning of the seasons. In fact, many Wiccans refer to their participation in Sabbat rituals as “Turning the Wheel,” as an acknowledgement of their co-creative relationship with Nature. Of course, every day provides opportunities to commune with the Goddess and the God. But it’s nice to always have another Witchy occasion to look forward to, just a few weeks away!